SpikeTV is advertising their presentation of Star Wars in the sexiest way possible. 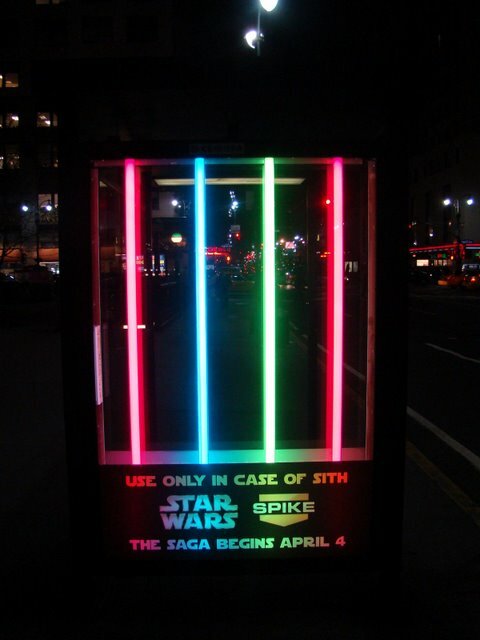 By featuring lightsaber glow-stick lights on a specially designed bus stop ad, of course. Sexiest way possible? I think so. The Dark Side is strong, my son. 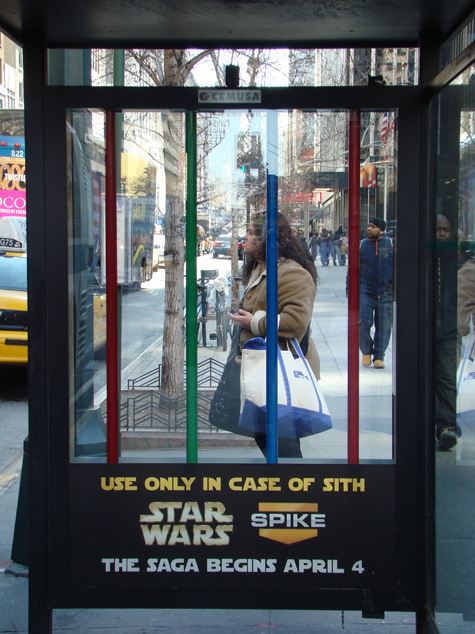 But using the power of The Force and your bus toll, you too can be a Jedi. Or at least in the presence of a cleverly launched corporate ad campaign.